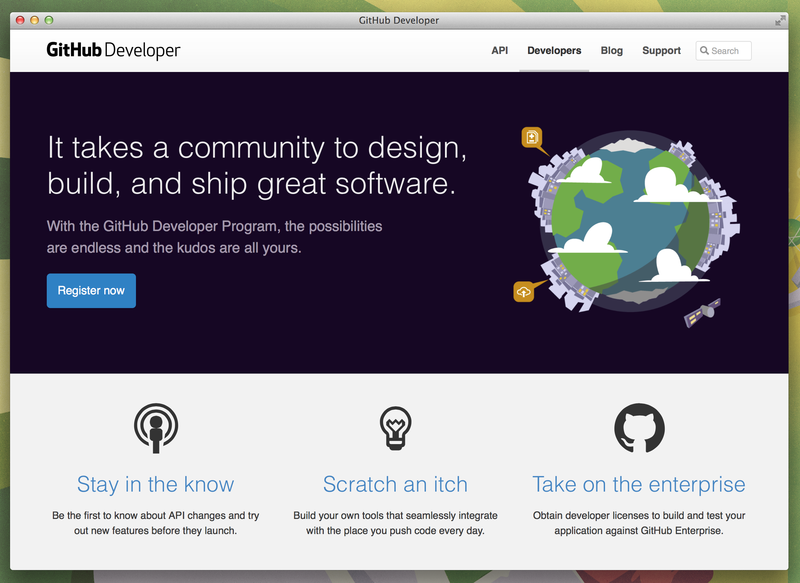 GitHub today announced the GitHub Developer Program to provide all developers with the resources they need to “build integrations for better collaboration, higher code quality, easy deployment and so much more.” In other words, GitHub wants to do more than just offer an API. Members of the GitHub Developer Program will receive ongoing notifications about changes to the GitHub API as well as early access to select feature releases. They also have the option to request a development license for GitHub Enterprise and to submit work for consideration on the new integrations page, which also launched today.